A Brave Scottie girl, and a WONDERFUL Scottie Mom...!!! You are lucky to have found each other...!!!!!!! That just goes to show you are the perfect Scottie Mom for that beautiful girl! I agree with the comment about you being the perfect Scottie Mom for Heather. I'm glad she is doing so much better. The heavens were aligned perfectly when the two of you met. 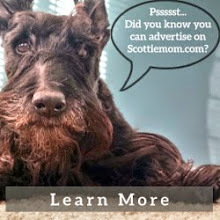 You betcha you're the best Scottie Mom for Heather and she loves you to pieces! Hootie adds "This is the best photo ever of my girl! When Mom showed it to me my heart just melted! Oh, how I want to meet her in the park to run and play!" Have you considered pet insurance?? 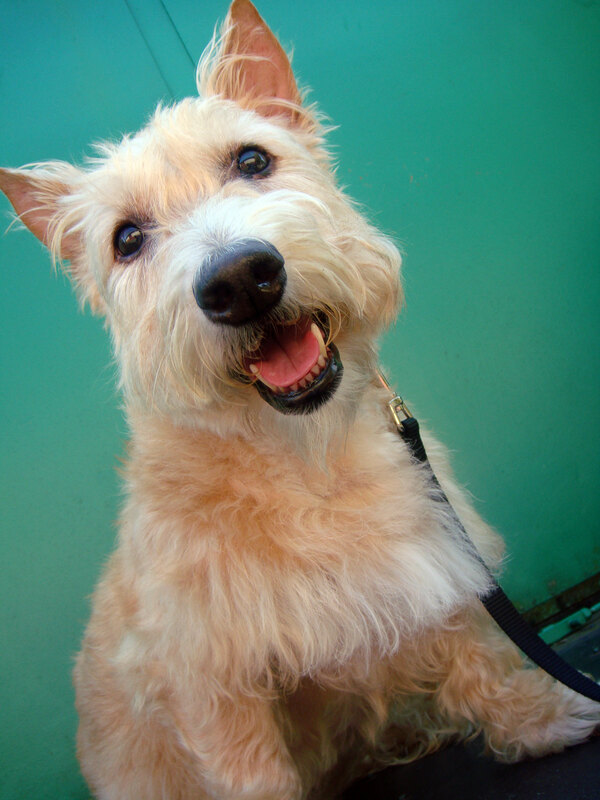 We have VPI and it has really been helpful....about $40 monthly.....really helped with Aggie's cancer treatments! Just so happy for all. I know you were on pins and needles waiing for the results. 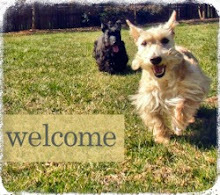 Heather's such a sweet girl (love the photo) and you are the best Scottie Mom, our hearts just break when there are health issues with our sweet Scotties! That sure is a nice photo! Oh me. Health. I just lost a good friend to cancer. Scotties are such cancer magnets. You're doing all the right things to keep that precious beauty healthy and happy! Yippeee! You don't have the shots for Addison's Disease that I have. It's about $2.25 per day and always rising. My teeth are fine, however. I'm glad she's improving. She certainly looks happy in that picture! ArRooooooooooo- great news on the normal ALT and reducing Alk Phos! The AlkP value is not bad for a Scottie. Maggie had a benign eyelid tumor too, our vet did laser surgery and it healed beautifully. Heather's smile is beautiful, you'd hardly know she's missing a tooth or two! Good luck on the dental and mass removal, Miss Heather ans ScottieMom!